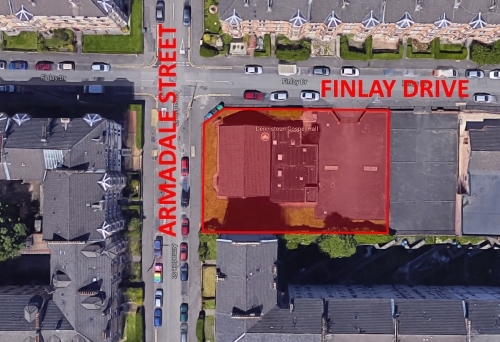 A revised planning application (Ref 18/00920/FUL, available here for viewing and comments) has been submitted for the erection of a residential development of 31 flats (six storeys, eight parking spaces) at 100 Finlay Drive, Dennistoun, Glasgow G31 2RQ (‘Dennistoun Gospel Hall’, previously ‘Dennistoun Picture House‘). Simon Community Scotland are undertaking a Street Count of people rough sleeping in Glasgow. Unsurprisingly most of the focus will be in the City Centre but the Simon Community are keen to know if there are areas of Glasgow they should explore and target staff accordingly. 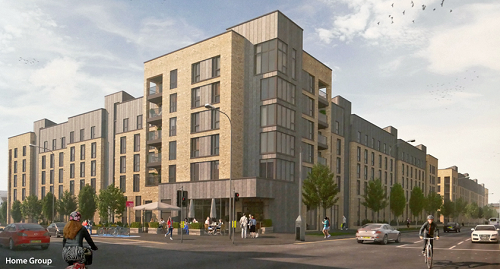 On 15th November 2017, following extensive discussion with and between members of the public in attendance at the Dennistoun Community Council meeting held on 14th November, a letter of objetion to the planning application reference 17/02477/DC for 100 Finlay Drive was submitted. The below points were raised. The letter can be downloaded for viewing here. 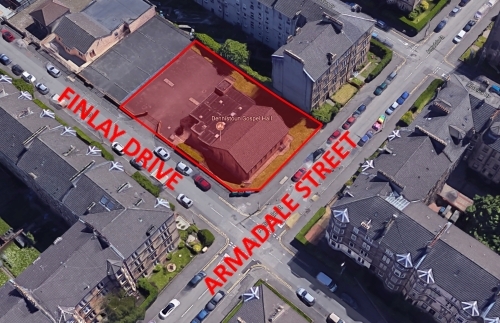 A planning application (Ref 17/02477/DC) has been submitted for the erection of a residential development of 31 flats (six storeys, eight parking spaces) at 100 Finlay Drive, Dennistoun, Glasgow G31 2RQ (‘Dennistoun Gospel Hall’, previously ‘Dennistoun Picture House‘). The applicant is Nixon Blue Ltd. The agent is Vellow Wood Architecture. Documents relating to this application (including design statement, drawings, and public comments) can be viewed here. 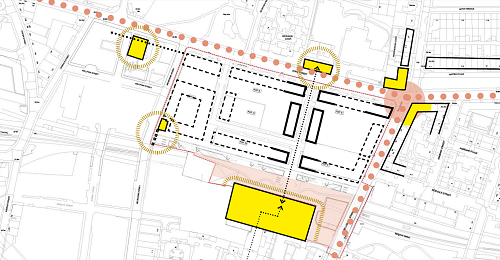 Dennistoun Community Council would like to take this opportunity to clarify their position in relation to the proposed development at Golfhill School, Dennistoun by Barony Homes. Early stage proposals for the former Golfhill Primary School were made available at the public meeting held yesterday. 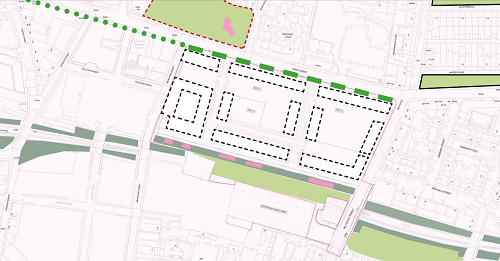 An official planning application is due to be submitted in May. There will be a public meeting in relation to the development proposals for the former Golfhill School, as follows: Wednesday 5th April 2017 (12:00-19:00) at Milnbank Community Hall, 53 Ballindalloch Drive, G31 3DQ.